But D’Souza is not just out to make money, of course. At a June screening of “America,” right-wing strategist Ralph Reed called D’Souza “a national treasure for our cause.” D’Souza’s last movie, “2016: Obama’s America,” was designed to keep Barack Obama from being elected. “America” is an attempt to prevent Hillary Clinton from being elected in 2016, wrapped in an attack on the progressive movement. At a time when corporate power and profits are at record highs, “America” the movie argues that America the country is being led down the road to national “suicide” and socialist tyranny in a plan that was conceived by organizer Saul Alinsky and is being carried out by Barack Obama and Hillary Clinton. Central to this long-term leftist scheme to bring about American decline has been an effort to convince Americans to be ashamed of the country’s history so that they will support a reduced role for America in the world. 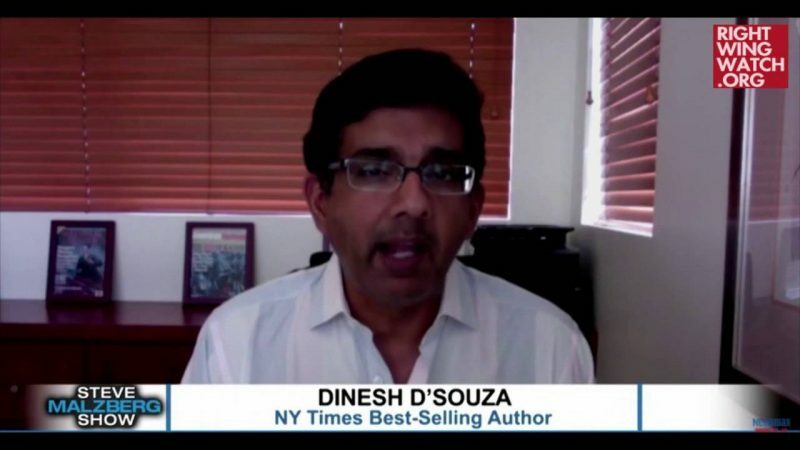 D’Souza interviews some leftists and liberals as foils, including Noam Chomsky, Ward Churchill, and Michael Eric Dyson, and turns to Alexis de Tocqueville, writing more than 150 years ago, as a “more reliable” source. 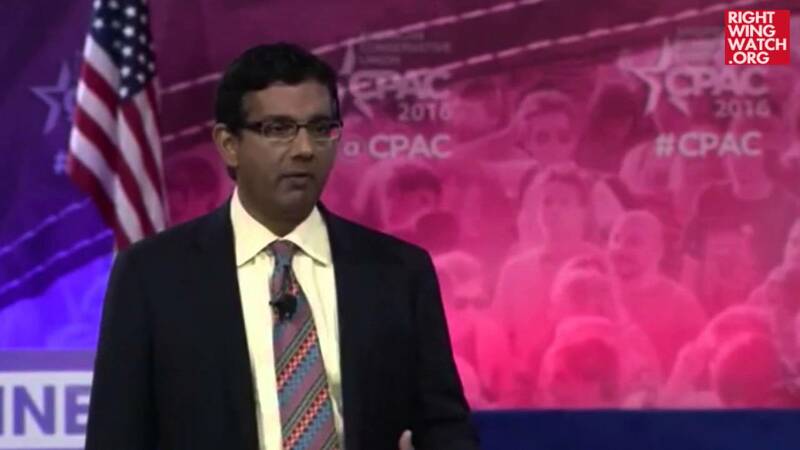 De Tocqueville understood, D’Souza says, that slavery and the treatment of Native Americans were nothing unique to America, but reflected a universal “conquest ethic.” Throughout history, he says, wealth was built by conquest and theft. But America is uniquely based on a different idea – the idea of acquiring wealth not by taking it from someone else but through innovation, entrepreneurship and trade. In the process of taking on these progressive “indictments” of American history, D’Souza essentially tells Native Americans, African Americans, and Mexican Americans that in the big picture they really have nothing to complain about, and could be successful if they were just willing to work rather than spending all their time complaining. In the movie, D’Souza portrays American foreign policy and global capitalism as fundamentally noble. So why are progressives out to destroy America and its place in the world? D’Souza wraps up the movie with a disjointed section on the surveillance state. D’Souza says the government is gathering information on all Americans so that it can target political opponents, the way he says the Obama administration has targeted conservatives through the IRS and other agencies. Not very convincingly, he portrays his recent prosecution for violating campaign finance laws – he has pleaded to a felony and faces sentencing in September – as part of this ideological warfare. But plenty of good books have been made into mediocre movies, right? At the screening, D’Souza described the book as the “intellectual spine” of the movie, and said it had been hard to fully communicate all of the book’s ideas and make the movie entertaining. · Native Americans: “The Indians were here first, but they were only sparsely and sporadically occupying the land. Consequently, many settlers regarded America as largely unoccupied, although the Indians surely disagreed with that perspective. Too bad the two groups could not amicably work out a way to share and benefit from this vast country.” Too bad? “They couldn’t, I believe, because both groups continued to espouse at least elements of the conquest ethic. Neither wished to be taken from, but both were willing to take when they had the power and the inclination to do so.” D’Souza has little sympathy for those “forlorn” Indians who “seem to prefer the joy of victimhood – and the exertions of claiming reparations of one sort or another –to the joy of entrepreneurial striving” – unlike those who are making money with casinos. D’Souza denounces what he says is the progressive plan to diminish America’s influence globally, and closes the book with a warning about what the world might look like when its dominant force is not America but China, whose growing economic power is translating into greater military force and geopolitical influence. Similar concerns may be shared across the political spectrum, but having celebrated China’s adoption of market economics and economic growth, and having defended the export of American manufacturing jobs to cheap-labor China – trends that cannot be blamed on the Obama presidency –D’Souza does not make it clear what he would have American leaders do to forestall China’s rising influence. If he has a solution, he’s keeping it to himself. The same can be said for the plight of unemployed and underemployed American workers. It doesn’t matter that you’re willing to work hard if there are no jobs to be had. And while D’Souza describes inequality as an essential element of the free market economy, he does not address the fact that in recent decades American workers have received almost none of the benefits of increasing productivity. His lectures to African Americans that their unwillingness to work hard is the only obstacle to their success ignore both evidence of continuing impacts of structural racism – reflected for example in exploitive mortgage underwriting – and the brutal consequences of the recent economic downturn on the already huge disparities of wealth between white and African American (and Latino) households. The facile ideology of “America: Imagine the World Without Her” – both book and movie – should be no surprise. 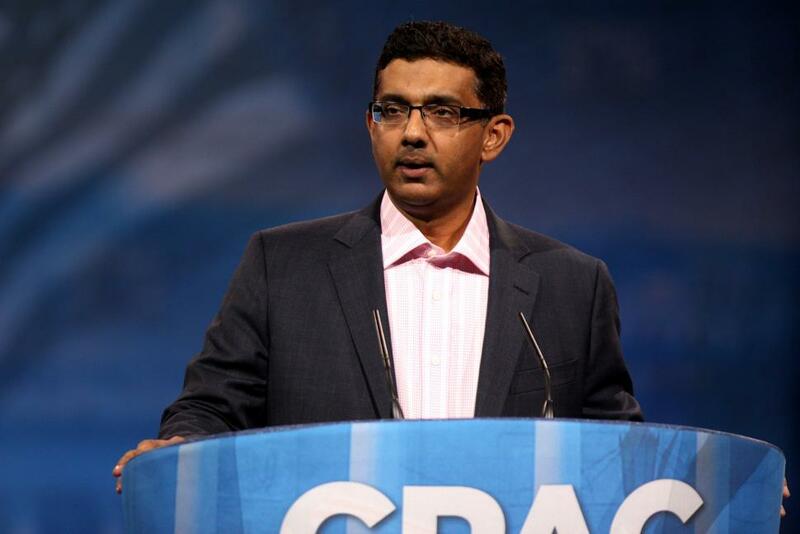 D’Souza’s entire career, beginning with his work at the right-wing Dartmouth Review and continuing through stints at the Heritage Foundation and American Enterprise Institute, has been nurtured by far-right funders. His claim to being a “scholar” is grounded in his authorship of a series of polemical books, including “The Roots of Obama’s Rage,” an exercise in ideological excess that even some conservative commentators found embarrassing. He champions traditional values, but in 2012 he resigned as president of the Christian King’s College after news that he had traveled with, and become engaged to, a woman who was separated from but still married to her husband. 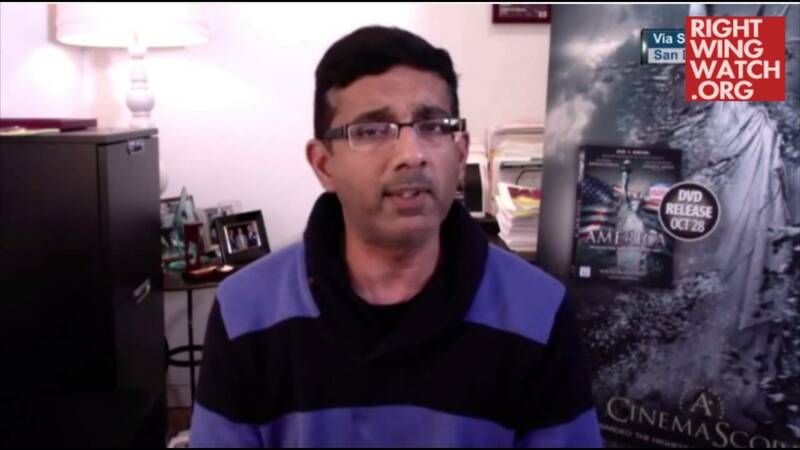 Like his old friend Ann Coulter, D’Souza has learned that there is seemingly no end to the money to be made, and fame to be enjoyed, by repackaging and peddling ideological diatribes to the country’s right-wing activists.